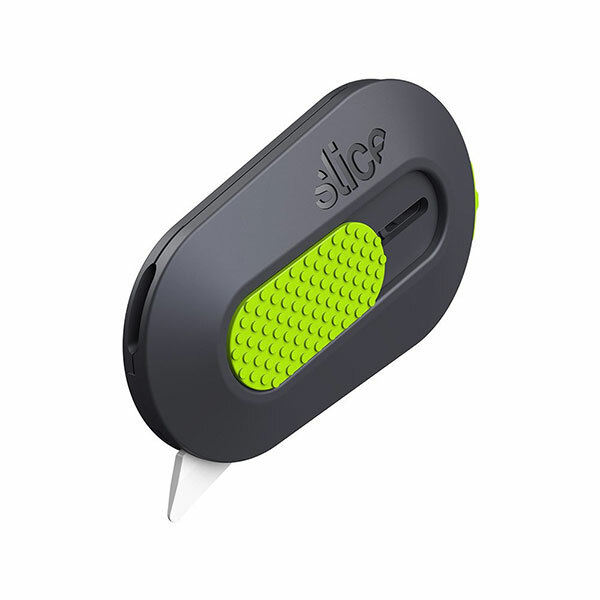 The Slice 10514 Mini Cutter works as well as a safety box cutter as it does a pocket knife or kitchen multi-tool. Its auto-retractable blade stays out of harms way when youre not using the knife, and the built-in magnet and key hole keep it handy. The Mini Cutter ships with a replaceable 10404 rounded-tip ceramic safety blade. The blade is non-sparking, chemically inert, autoclave friendly, and never rusts.